In this modern age where large handbags are the norm, one often forgets that a mark of true fabulousness is doing away entirely with a handbag. Seeing as this usually pertains to women who are well-off enough to have a driver to keep their things on hand in their car, or a companion who can carry their things for them, the majority of sensible earners adhere to this fabulousness by keeping things compact and functional. In order to do so, it is essential to cut down on the number of items that you would normally keep in a handbag. This may seem like death sentence to most women; however, thanks to compact items which can actually perform dual functions, fabulousness is certainly achievable. Although the USB Lipstick Flash Drive II is not actually a lipstick, it paves the way for being able to combine looking good and storing data – two concepts that you think would be mutually exclusive. 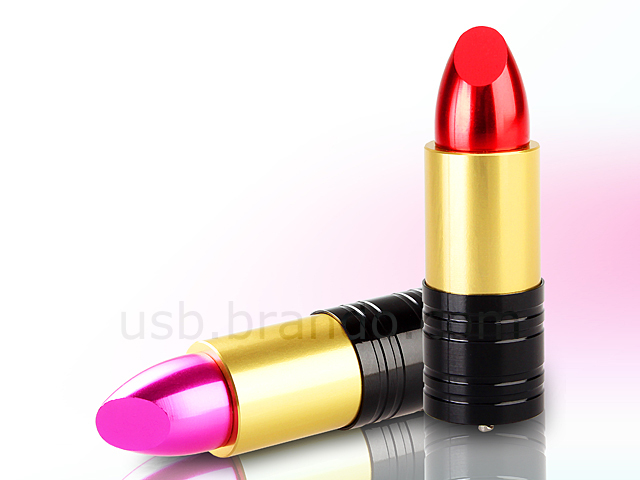 The USB Lipstick Flash Drive II is the same shape and size of a standard lipstick and only weighs 21 grams. Even though it is small, it certainly packs a punch when it comes to storing data as it comes in 2GB – 32GB capacities. Available in two shades, red and rhodamine red, it adds a glamorous touch to your computer and is easy to use. Of course, the primary downside to the Lipstick Flash Drive is that since it is not actually a lipstick. That is, you still have to make room for lipstick in your handbag or pocket. Additionally, since it is such a fashionable item which is the exact size and shape of a tube of lipstick, you might end up mistaking it for actual lipstick when you reach for it in your handbag. And if you are not paying close attention, you will soon discover that it won’t rouge your lips in the way that you want to. 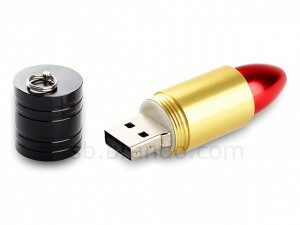 However, the USB Lipstick Flash Drive II is a step in the right director for the marrying of data storage and beauty in a compact, functional mechanism that is sure to serve as a convenience for the independent woman – whether she is a high-powered business executive or a hardworking student. All in all, the USB Lipstick puts a glamorous spin on data storage, giving your working day an extra bit of fabulousness. This entry was posted in Custom Shaped USBs and tagged Custom Shape USB, lipstick flash drive, lipstick USB drive, Novelty Flash Drive, Novelty USB Drive. Bookmark the permalink.